Living in Georgia means being accustomed to strong Spring and Summer thunderstorms. Usually around the end of February or March, the cold Winter air starts moving out, and the warmer Spring temperature start moving in. But when those warm Gulf breezes blow up while there's still cold air... well it's a recipe for violent thunderstorms. When the upper atmosphere becomes volatile like that, super cells form. Then we can have tornadoes, strong winds and hail storms. Living in Georgia... you can pretty much count on it like clockwork. If you are in the path of a strong storm like this, there's a really good chance your roof is going to sustain wind and hail damage. If your roof is reaching 15 years or older... it doesn't take big hail to damage the roof shingles. A hail storm with 1" hail is more than enough to do hail damage to a 15 year roof. Especially when accompanied by 40 - 50 mph winds. These storms can happen anytime of the day or night. We've realized that many times a homeowner will be in the path of a quick moving storm and sustain damage, but not even know it. It could have happened while they were at work, or while they were sleeping. Of course, you have to be a pretty heavy sleeper to sleep through a hail storm like this. But it does happen. Then, all the sudden you see a number of your neighbors getting new roofs. This is probably why. There are 5 steps we highly recommend for you to follow if you feel you've experienced a storm like this. These steps are the best way to file an insurance claim, and know that you're not being taken to the cleaners by a storm chasing, out of state roofing company. Call a local and respected roofing company in the Metro Atlanta area such as ResCom Roofing from out Suwanee, GA. 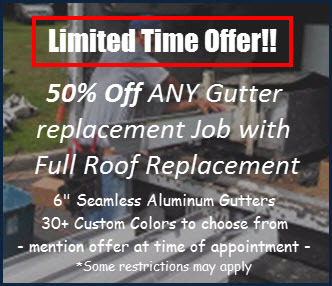 When you call, you'll be able to schedule a free of charge roof inspection. We will send a professional and well-trained roof technician to conduct a complete roof analysis. Once they're done, they'll be able to advise whether or not you have received enough damage from the storm, to warrant filing a claim. Beware of door knockers in this industry. I can tell you right now that if you let them on your roof, there's a good chance that you will have damage when they come down. Whether or not the storm did damage, the roof salesman will make sure you have damage by breaking shingles on your roof. Then, you can pretty much know that 99.99% of the time they will advise you to file a claim whether you had damage or not. At ResCom, our technicians and salesman are honest and will be straight forward with you. 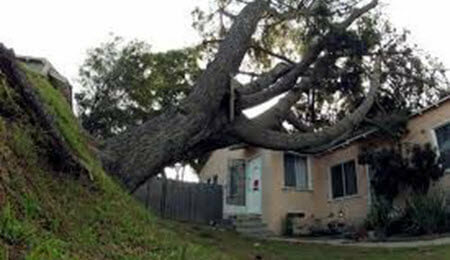 If you have storm damage, they will assist you in filing your claim. If you don't have storm damage, they will advise you to Not file a claim that's not legitimate. If your ResCom representative finds you have a legitimate claim, ask them to assist you in calling your insurance company to file the claim. Have your policy handy so you'll be able to tell the claims adjuster on phone what's your policy number. It will also be important to tell them the date and time of the storm. They will ask you "what was your date of loss?" That’s just a way of saying... when was the storm? So, if you're not sure exactly when the storm occurred, no worries... our sales rep will have that information for you. Many time when you call in the claim, the insurance company will give you a date and time when the adjuster will be there to do inspection of the roof, to decide if they will cover your loss. 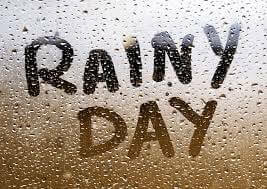 Give this date and time to your ResCom rep so we can be there on your behalf during the adjuster appointment. This is maybe the most important part of the process. You need a qualified roof specialist fighting for you, on your behalf. If not, many adjusters will say there's not enough damage to replace the roof, and they'll just approve a simple roof repair instead. Most likely it won't be enough money to cover the deductible. So, you want us there with you, to make sure you get everything that's owed to you by your insurance company. So please make sure we know that adjuster appointment time as soon as you get it. If at all possible, try to be present at the time of the adjuster appointment. 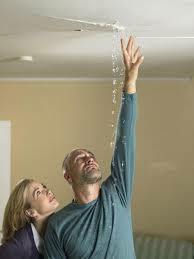 Many times, you will also have interior damage to your drywall or ceiling from the roof leak caused by the storm. The adjuster will need access to the inside, so it's best that you're there. Many times, the adjuster will also issue you a check on the spot if they approve the claim. They will pay that first payment then, which is called the Actual Cash Value payment. They don't pay the entire claim up front. You'll be required to then get the repairs or roof replacement done, then submit invoices from the roofing company. We will take care of submitting this paperwork for you as we know exactly what the insurance company wants to see. Then the insurance company will pay the second payment which is called the Recoverable Depreciation. In this case, they will have paid for a complete roof replacement, minus your deductible. Which leads us to the fifth and final step. I would say most homeowners have been told by other roofing companies that they aren't required to pay their deductible. Well, this is not correct. It's a requirement of the State Insurance Commissioner that all deductibles are paid by the policy holder. So, we insist that you need to pay your deductible. 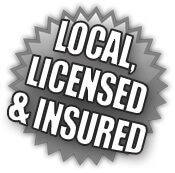 You will pay the deductible to us as your contractor. So, if you don't think you have to pay it, just know that's basically taking money out of our profits. For us to perform top notch roofing services, pay our installers a fair rate so they complete a high-quality roof installation, pay for premium roof materials, we need to make a certain amount of profit. The insurance companies literally have complete divisions to research what the industry standard going rate is for each region. So, I can promise you they aren't just willy nilly paying thousands of dollars extra for the fun of it. They are paying what the industry standard cost for a roof replacement is worth. So, if you want a high-quality roof, you should count on paying that deductible. We understand we will lose some roof jobs by having this policy. But being able to sleep at night, knowing we're conducting business with integrity and honesty is worth more than the few roofs we may lose. So please don't ask us to cover your deductible. Let's keep it by the book, install you a perfect - new beautiful roof by ResCom Roofing. The way we see it... if a company will cut corners on this rule, then what other corners are they cutting up on you roof that you're not even able to see? Just something you should think about. You really don’t want a roofer cutting corners with something that just happens to be your first line of defense against everything Mother Nature has the throw at you. To conclude, if you think you may have storm damage, or if your roof is 15 years old or older, then schedule a Free of charge roof inspection today. If we find damage, we'll advise and assist you throughout this entire insurance claim process described above. We look forward to hearing from you. Just remember... ResCom will cover your assets! Merely wanna input that you have a very decent website , I like the style and design it really stands out. © 2019 ResCom Roofing - All Rights Reserved.